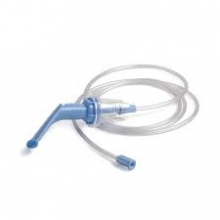 This Medix Lifecare Mouthpiece Set contains a mouthpiece, medication chamber and drive line tube. It is single patient use and should be discarded after three months of use. It is designed to be used with the Clement Clarke range of compressor units.